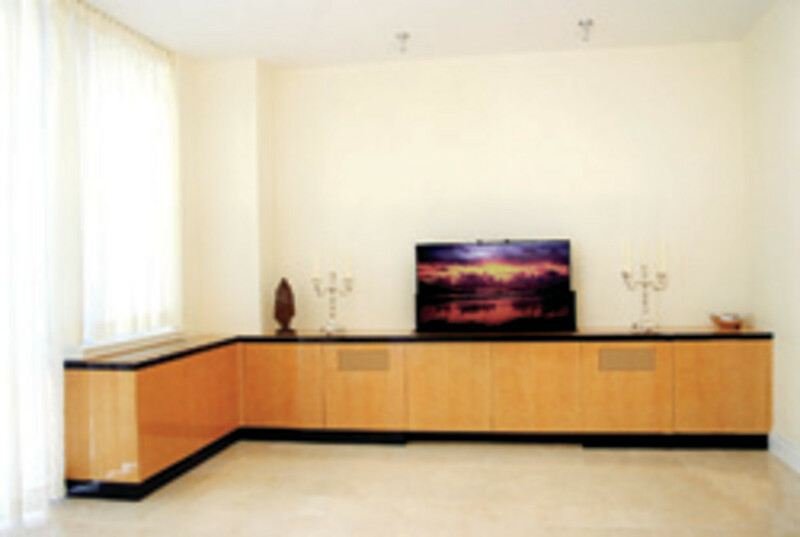 Since it was established in 1976, New York’s Manhattan Cabinetry has been designing and producing custom furniture and cabinetry for high-end clients, primarily in the borough that shares the company name. It’s a big operation, with about 40 employees, and was even bigger in the past when 70 workers were needed to meet the demands of a flourishing economy. 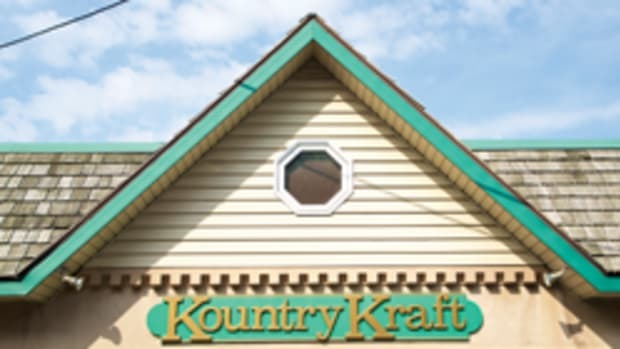 The economy hasn’t been so great lately, but owner Michael Koullias has never been one to back away from a challenge. He’ll go the distance until he decides to downsize, retire or sell. Koullias grew up in Greece where he started working various jobs as a handyman at the age of 8. He then worked with his father, a professional fisherman and diver, for the next 12 years. He served in the Merchant Marine and headed to the U.S. in 1973, settling in New York. In 1974, he landed a job as a deliveryman for a cabinet shop in Manhattan. There, he witnessed ways things could be done differently and seized the opportunity. Two years later, he hired a cabinetmaker and a salesperson and opened a shop at 84th Street and First Avenue in Manhattan. 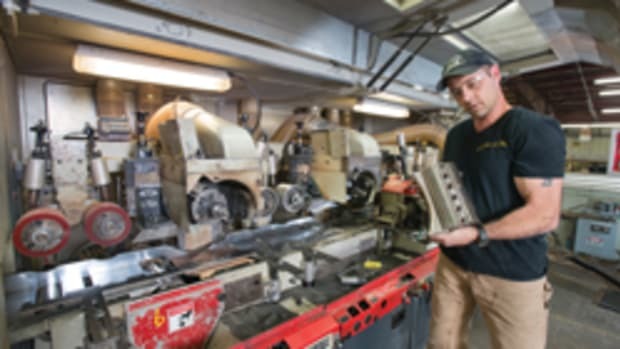 “When I worked for the other cabinet shop and saw the mistakes they were making as deliverymen, I always thought I could do better than that, and I did. I learned from their mistakes. After I opened my first shop, my leftover money was $500. It was very scary. I didn’t know how I made it, but I did,” says Koullias. 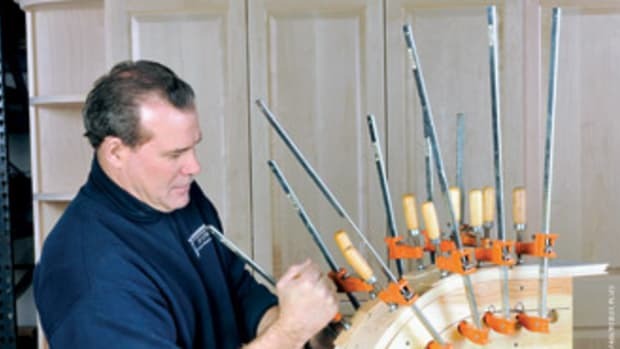 Entirely self-taught at woodworking, Koullias built anything he could for his first clients and hired additional help when needed. He became adept at navigating through the city to make deliveries in a timely fashion. He also opened three showrooms. 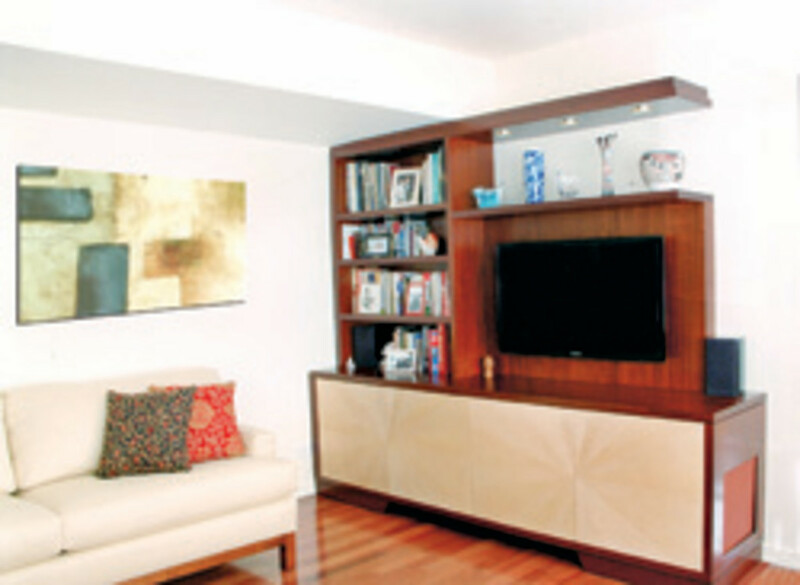 The volume of work increased quickly and a much bigger shop was needed, which is how Manhattan Cabinetry ended up in Queens. The growth finally stopped — with a bit of a thud — about five years ago. 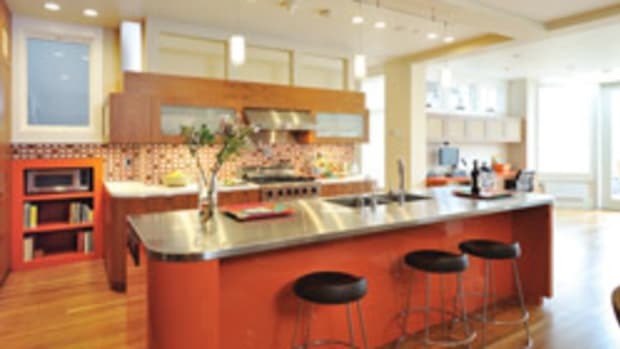 Manhattan Cabinetry focuses almost solely on the residential market. The customer base is concentrated in Manhattan, particularly in the affluent areas of Park and Fifth avenues. “My clients used to be from Long Island, Connecticut and New Jersey. People were spread out more when the economy went the other way. Now Manhattan is our primary service area. We do mainly residential, except for a few commercial desks for lawyers’ and doctors’ offices,” says Koullias. 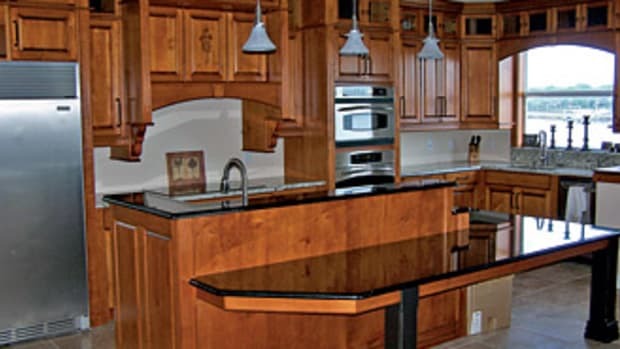 Work offered includes any type of casework, cabinetry and stand-alone furniture pieces for the home, except for millwork and chairs. Prospective clients can see it all at a 3,000-sq.-ft. showroom on East 59th Street in the heart of the city’s design district. With the big city showroom and high-end clientele, it was surprising to learn that most jobs are brokered directly with the homeowner. Koullias says only about 1 percent are arranged through a designer or architect. And, if it’s not broke, don’t fix it. Style preferences have changed dramatically through the years. 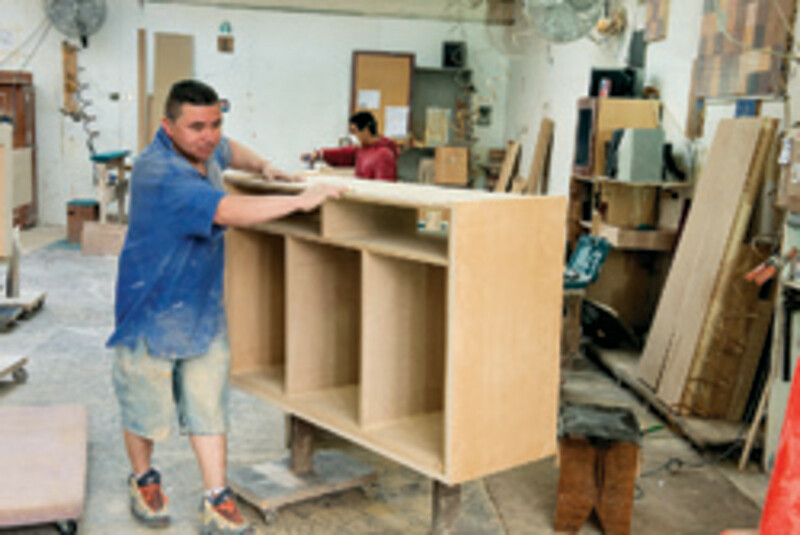 Koullias remembers the demand for unfinished furniture in the late 1960s through the 1970s. In the 1980s, it had to have rounded corners covered with Formica or a matte gloss finish. A traditional took over in the 1990s, while a contemporary European style has reigned since 2005. The shop works mostly with hardwood veneers over a plywood substrate. The most popular species include mahogany, cherry, English sycamore and maple. 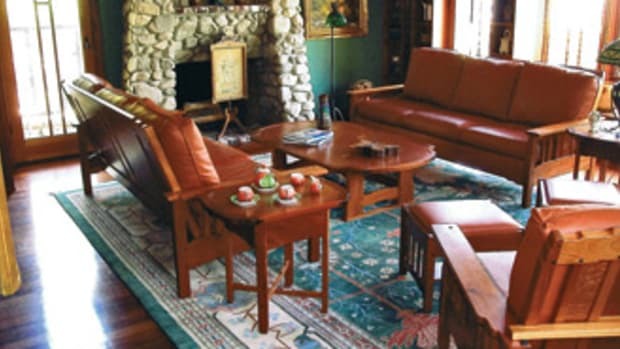 Clients tend to prefer light and medium colors and more natural finishes. 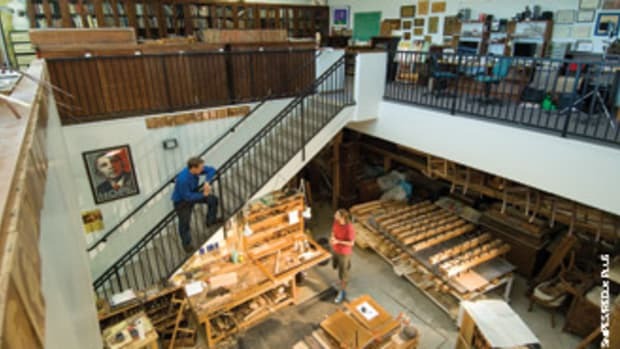 Stains coated with varnish and polyurethane account for about 80 percent of the finishes, while paint rates second, usually with a high-gloss texture. 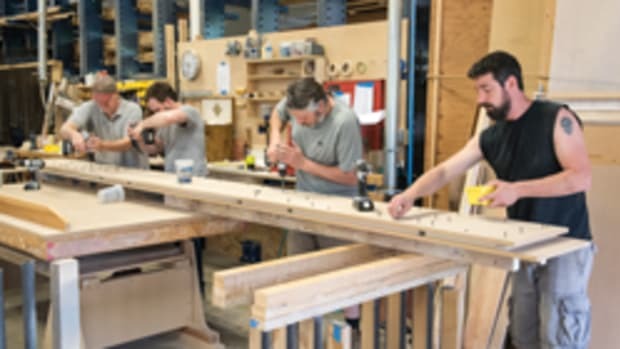 The shop features an in-house design department and foreman-led crews of cabinetmakers. Employees are offered the chance to participate in a health plan and can earn two to four weeks of vacation time. Many have worked here for decades and a few from beginning. Koullias is concerned about health care reform, particularly the part that requires employers to provide insurance if they have 50 or more employees. The ups and downs of the economy are nothing compared to the challenges of dealing with employees. “Because this work is very customized, there’s no production line, every one of them becomes indispensable. So the minute he knows that, I don’t know who is boss,” says Koullias. 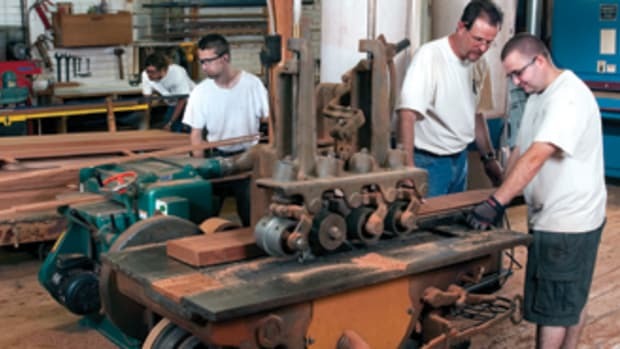 The well-equipped shop includes two Martin table saws, six Delta Unisaws, a Powermatic table saw, Stabil veneer press, Paoloni DR 415 planer, Butfering Classic belt sander, Invicta TI-14 shaper, Makita chop saws, and a Holz-Her edgebander. Koullias says he’s not interested in purchasing more machinery at this time, but he does want to continue growing his clientele. That might mean a bigger advertising budget or something more drastic.